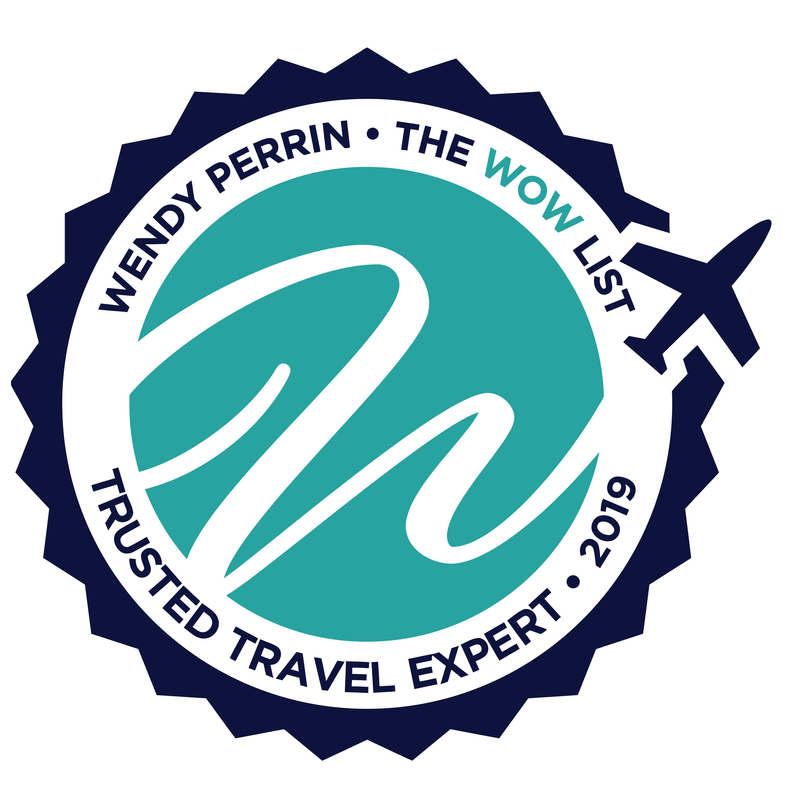 Marc Telio is on Wendy’s WOW List of Trusted Travel Experts for his expertise and connections in Western Canada. The reviews below are from real travelers who’ve taken trips that were arranged by Marc and monitored by Wendy. Don’t miss Marc’s Insider’s Guide to British Columbia. Marc and his team planned our trip to the Yukon to view the “northern lights”. Everything worked really well, and their suggestions of renting heavy cold-weather clothing and having a professional photographer to provide guidance were valuable. All the connections worked perfectly. All the staff at the lodge and at the dog sledding and snowmobiling venues were really friendly and helpful. The only downside was the Inn on the Lake, which—while clean—was rather worn and tired. Several in our party felt this distracted from their stay. I’m glad Richard made this point about accommodations in the Yukon because there are two things that travelers seeking the Northern Lights should be aware of. First, the Yukon is very rustic. Second, trips there need to be booked far in advance. For instance, the Northern Lights Resort and Spa, sells out a year in advance. The Inn on the Lake, another one of the nicest properties in the area—was the best available when Richard started planning this trip eight months ahead. Marc recommended it because it works well for a large family, as it provides nice gathering spaces. When I first contacted Marc Telio, I told him that I wanted to go to British Columbia. We (my husband and I and our 2 teenage daughters) wanted to avoid Banff and other really crowded areas. Marc suggested we spend a few days in Whistler, a few days at the Sonora Resort and end in Vancouver. Although our plane had a late arrival, we were met promptly at the airport by our driver and a representative from Entree Destinations. We felt like VIPs and were given a welcome bag with reusable water bottles, bug spray, Lululemon headbands and more! Our driver accommodated our wishes to stop to see Shannon Falls on the way to Whistler. While at Whistler, Marc set us up for various fun activities—RZR cars, white-water rafting, and zip lining. We also did the Peak-to-Peak gondola and some hiking on our own. On our last day in Whistler, we were treated to a WOW Moment: Brad Kasselman, the Managing Director of Coast Mountain Photography, met us at our hotel and gave us a personal tour of several waterfalls, giving us photography tips along the way and taking family photos. He also treated us to a delicious lakeside lunch. Although I am the photography buff in the family, Brad was able to engage the whole family and everyone really enjoyed the experience (thank you, Wendy!). Brad returned us to our hotel in time to meet our driver to take us to the seaplane we were taking to Sonora Resort. Sonora Resort is not accessible by car, so Marc suggested a seaplane (as opposed to hours of driving and several ferries and taxis). The downside to using a seaplane is a strict luggage restriction. Marc and his associate Sandra were very helpful and patient during my multiple calls and emails about what clothes were necessary so we could make the luggage restriction, but our packing was perfect and we had no issues. The entire family agreed that Sonora Resort was heavenly. So remote, beautiful scenery and gourmet food. The kids especially loved the snack room, which was filled with various snacks, drinks, and lunch for people to take on their excursions or just because they were hungry. As a perk of being one of Marc’s clients, we received a free 2-hour Eco-Adventure tour, where we were lucky enough to be in the middle of a pod of about 100 dolphins. Marc also planned several other excursions for us — sea kayaking and Blind Channel tour — both of which we loved. The food was so delicious that on the first night at dinner our daughter said: “thank you for bringing me here”. We would never have thought to visit Sonora island had we planned the trip on our own. I definitely hope to return one day. In Vancouver, Marc suggested the Fairmont Pacific Rim, which also was in a fabulous location. Since we are foodies, Marc planned a food tour on Granville Island. My daughters had asked why we needed a tour rather than just walk around on our own. After the tour we realized why: There are so many booths that it was helpful to have an expert direct us and have samples of the items. If we had gone on our own, we would have bought one or two things…the tour allowed us to try more things in small quantities. After our food tour, Marc had arranged a 4-hour tour of Vancouver. This is the only activity that we should not have done. It involved riding around in a car for most of the time. We would have preferred to explore the city on our own. (Lesson learned for our next trip.) Our tour guide was very good, though, and he was very flexible. My daughter wanted to go to the science museum after we passed it, so he was able to get us there for an hour before it closed. He waited while we were there and then drove us back to our hotel, even though it was past the time of our original tour. Although I was very involved with the details of the trip, I didn’t have to figure out where to go, how to get there or worry about the logistics during my vacation. Marc and Sandra took care of all that, which made it a true vacation for me. Marc and Kate on his team, did a great job making the trip special for my wife and me by selecting outstanding guides and drivers, making hotel and dinner reservations at memorable places, touching base with us before, during, and after our trip, and surprising me at the end of the trip with a dessert they knew I especially liked. Marc and his team did an absolutely fabulous job with the trip he planned for us. I can’t say enough good things about them both – TOTALLY AWESOME. Efficient and completely professional but also warm, personalized and a cut above “standard VIP” level service I would not hesitate to refer to even my most discriminating friends and colleagues. They are a fantastic bunch of folks and I can’t thank you enough for recommending them!! Thanks again!! Marc Telio and his friendly/knowledgeable staff planned and executed a very memorable trip to beautiful British Columbia for my family of four this summer. Since we have two very active teenage children, like Marc, he understood our need to balance adventure with a little relaxation. Several of our favorite activities that Marc and his team orchestrated included a family cooking lesson with a pastry chef, a private foodie tour of Granville Island Market with a personal chef, and a very memorable trip to Nimmo Bay Wilderness Resort. Marc recommended for us to experience a private heli-fishing tour during our stay at Nimmo Bay, a very remote luxury resort in the heart of the Great Bear Rainforest. We were first a little hesitant due to the cost, but now we can honestly say that this was by far the highlight of our trip to BC! Our heli-adventure with our pilot/guide, Trevor, began with a very scenic ride out to an isolated stream where we fished for pink salmon under the watchful eyes of bald eagles that were nesting in the trees above. The looks on our daughter’s faces were priceless as a mama black bear and her cub ventured to the other side of the stream for a drink. Next we flew past majestic waterfalls to a glacier where we ate a delicious, gourmet picnic lunch followed by a short hike around the fields of flowers and streams. Our adventure continued as the helicopter landed on a very small sandbar on the side of a rushing river to fish for coho salmon followed by another scenic ride back to the resort. Thanks, Marc, for helping to give us memories that will last a lifetime! It’s these little touches from Marc and his relationships with his service providers that made our vacation to Canada go from good to GREAT…hotel room upgrades, restaurant recommendations and reservations, a personalized foodie tour of Granville Island Market with a personal chef, a candy bar and birthday celebrations for our girls, and a delicious cheese/fruit tray for my husband and I. In the past, I have typically researched, planned, and executed our own trips, but for the last five vacations we have taken, I have utilized the services of the travel experts recommended by Wendy Perrin’s WOW List (which have included Judith Root, Michael Kaye, Andrea Grisdale, Pierre Gedeon, and most recently Marc). I HIGHLY recommend the personalized services of Marc Telio and these other travel experts to anyone looking for a unique, customized travel experience. I’m looking forward to working with another expert from Wendy’s WOW List to begin planning my daughter’s high school graduation trip along the California coast this summer! Safe travels.